Our criteria for inclusion are a diagnosis of autism and outstanding/extraordinary achievements in at least one field as judged by our Board as well as some “continuity” of achievements. Our definition of genius is “creativity and eminent achievement” as mentioned in this Wikipedia article. We take this seriously as the word “genius” is widely misused by neurotypicals these days. All the members of our Board are on the spectrum and have jobs in different fields. Please provide links and as many details as possible when nominating somebody. What people say about themselves on Facebook must be verifiable too. In general (with a few exceptions) Facebook is only acceptable for art galleries. You may also nominate yourself. In spite of our efforts we don’t know everybody, so please do not hesitate to contact us if you think someone who isn’t included yet should be included. We particularly appreciate nominations of people who are usually not represented on English websites, as it might be otherwise more difficult for us to find them and we would like to give them the recognition they deserve too. Our email address is ahof_ceos at aol.com. In spite of our name, fame itself is not important, as becoming famous implies other character or personality traits that don’t have anything to do with talent, like self-confidence, contacting the media, having “connections” or also having a supportive family or other supportive people around you that make you famous, and not all talented people have that. We only judge talent, not external factors, because some autistic people are very talented, but also very withdrawn. We certainly don’t want to make the gap even deeper. The first definition of “Hall of Fame” that comes up in Google while we are writing this is “a group of persons judged outstanding“, and that’s exactly what our Hall of Fame is. We regret that we cannot include people exclusively on the basis of IQ. This is because our aim is to show to the world what autistic people can do in order to defeat prejudices, and our members with a high IQ can indeed do fantastic things and have made a positive contribution to society and humanity at large with their work. There are so many lists of famous aspies around, and we wanted to create something different. We wanted to include all forms of autism as well as names of people you might not know, but who are extremely talented and who deserve recognition for their extraordinary talent, even if they don’t participate in autism groups or don’t go to meetings or events. Just as we respect all forms of autism, we also respect all personalities, from the very outgoing people who go to events and are public speakers to the very introverted people who prefer to be on their own, maybe because that’s just who they are or maybe because they don’t receive much support from their families, friends or communities, so they are more withdrawn. Some of us have also been abused as children, which of course didn’t contribute to improve our social skills. All autistic people are precious to us. We are personally not fans of events, in particular events organized by neurotypicals (like Light-It-Up-Blue) because the organizers are often more in the spotlight than deserving autistic people who cannot go to events (or don’t want to). The reality of autistic people is also not exactly what is represented at events. The world is often tough on us, so we have to stand together and love one another. It took us a lot of time to find people who don’t go public or don’t share their work much in big groups, but it was definitely worth the effort. As we said above, our Hall is also only for autistic people and you need to have been diagnosed to be included. We also need some sort of continuity of achievements and commitment over the years as well as a conspicuous body of work, in particular for artists. Those featured in books and who have not been officially diagnosed are 1) featured in books on autism/Asperger Syndrome (like Michael Fitzgerald’s books) and 2) they have mostly lived and died before Asperger Syndrome even existed, so obviously they could not be diagnosed, but we still wanted to draw the attention on them because according to experts if they had lived in our time they would most probably have been diagnosed. Prof. Fitzgerald (an Irish psychiatrist) for example analyzed the lives of some historical geniuses in detail in his books and concluded that they did fulfill the major criteria for Asperger Syndrome (and explains why). The names of these geniuses are preceded by a hashtag. In our blog, on the other hand, we feature both members of our Hall of Fame and other extraordinary autistic people. 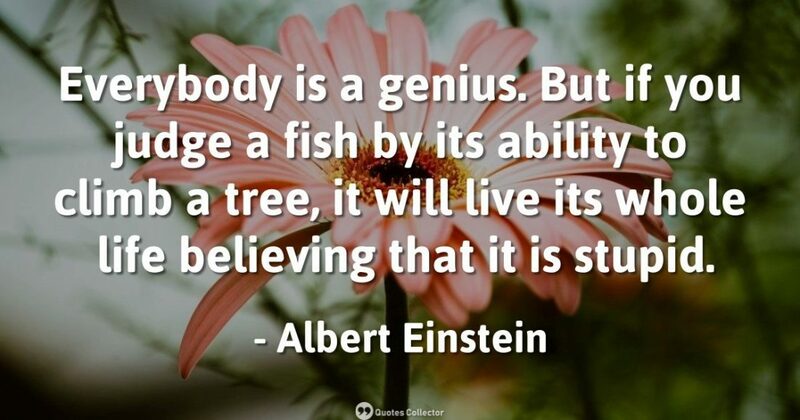 We are also aware of the fact that not all autistic people are geniuses, but the percentage of extremely talented people in the autistic population is higher than the percentage of extremely talented people in the neurotypical population, and just as they don’t hide their geniuses we believe that we shouldn’t hide ours either. Our intention is not (and has never been) to be elitist, as we are convinced that everyone on the spectrum has something to give and we really love everyone. We would just like people to become more aware of the extraordinary gifts and the genius of autism. PS: We are autistic too and might make mistakes if we don’t understand certain social cues, but we try to do our best. On the other hand, we believe that only autistic people can fully understand other autistic people. This is probably true in particular for Asperger Syndrome because quite often neurotypicals tend to completely disregard the challenges of aspies and condemn them instead of offering some form of support, which is of course very sad. Tags: admission, autism hall of fame, awetism hall of fame, guidelines, inclusion | Permalink.